I'm not understanding the difference between the CHILI DOG and the HOT DOG except in the most allegorical sense, but then, modern art has always confused me. I am sooo into that Pepsi can. It reminds me of Mexico. 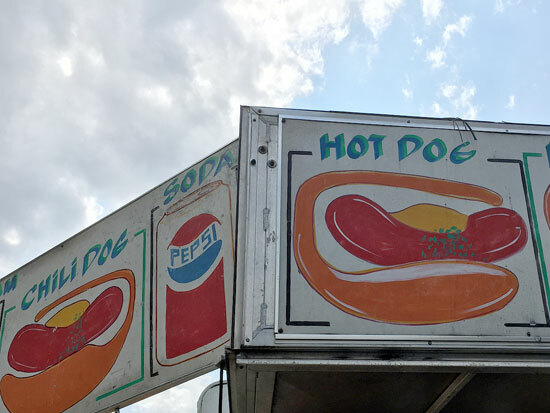 On reflection, the hot dog and chili dog look like bad illustrations of a human intestine. The Curse of the Impossible Relish strike again.